I started Darrah Parker's Slice of Life Project yesterday. This week's lesson is focused on "what matters to me". She's encouraging us to walk around our homes and photograph things that are important, evoke a memory, make us feel a certain emotion, etc. In the short time I had, I was able to shoot these few images. I am looking forward to the rest of this class and hope to take more everyday, around-the-house photos this week. Thanks for the inspiration Darrah, this was just what I needed to get my mind off some unpleasant stuff and get my focus back! 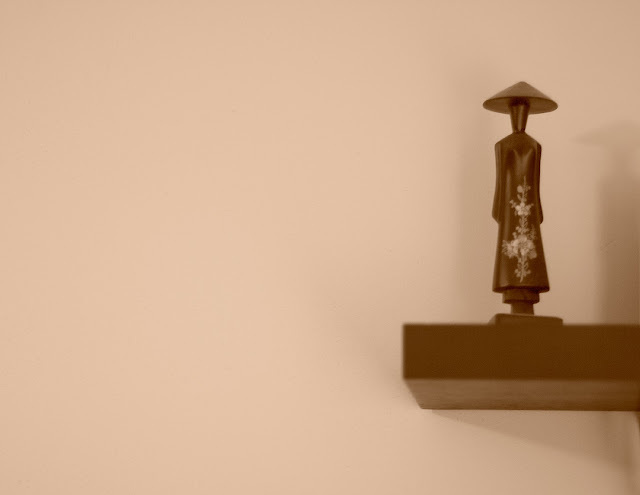 That second photo of the Chinese doll is wonderful - looks just like film (is it?) with it's softness and slightly grain. I absolutely love these shots you have taken around your home, they are great. These are beautiful photos. 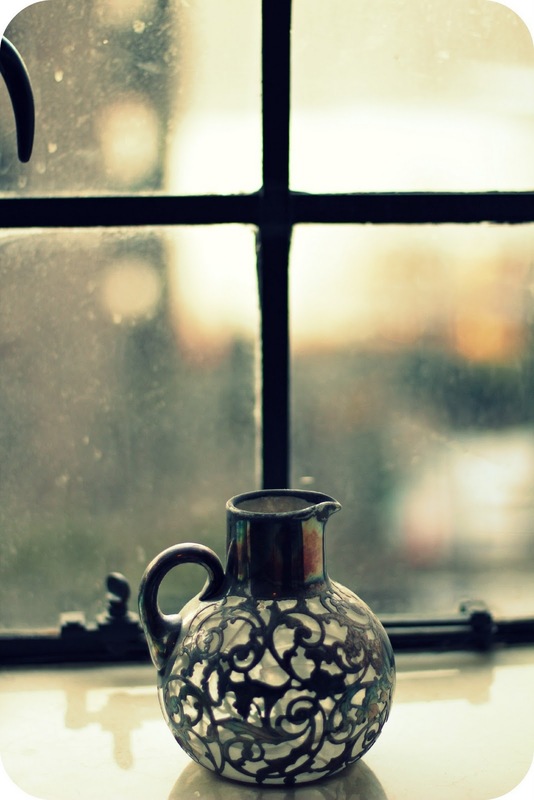 I like the jug by the window. I really love the simplicity of these shots. Beautiful. Great shots! I really like all of them (WALLACE AND GROMIT!) but the last shot is just gorgeous. Sorry things are unpleasant for you right now. I'm contemplating having a knit-in at the NYBG on the 15th or 16th if you'd care to join me! Lovely shots, for an interesting prompt! I especially love the last one. Beautifully done! lovely items, great light too. What a great project! I will have to keep my eyes open for her next slice of life project. Rather than just taking snaps of your favorite things you have managed to make even body scrub look like art...nice! Thank you, as always, for participating at Communal Global. We love having you there. Love that first shot and the one of the pitcher near the window. Great lighting! I love that first image...is that SOOC? Such pretty light. It is funny how the way you photograph something can give it such meaning or make something seemingly mundane stand out, lovelies. (though the last image is beautiful too). I love, love, love Wallace and Gromit!